Srinagar, Dec 6: Assuring representatives of the travel and hospitality sector that the department will aggressively campaign to promote all tourism products in the winter months to increase tourist footfall in the valley, Director Tourism Kashmir Nisar Ahmad Wani stressed on 'fair practices in the trade, which will help attract more travellers and build positive image of the State'. Mr Wani, who recently took over as the new Director of Tourism, Kashmir, on Thursday convened an introductory and interactive meeting with the representatives of the travel and hospitality sector associations here at Directorate office. “All the heads and representatives of the Valley’s major travel and hotel associations attended the meeting,” a spokesperson of tourism department said. He said the travel and hotel bodies representatives spoke at length about various issues which tourism sector is facing. They also put forth their suggestions for the promotion of the tourism for the winter sea sons. “The director gave patient hearing to the suggestions and the views from each representatives,” he added. Meanwhile, the Director Tourism Kashmir assured his unflinching support to the stakeholders and desired that the department would work as a family to successfully market the State as one of the prime tourist destinations of the country. Mr Wani urged the travel trade and hoteliers to promote fair practices in the trade, which will help attract more travellers and build positive image of the State. The Director Tourism said they are establishing a dedicated grievance cell with a toll free number for registering any complaint, adding the complaints after verification will be redressed on a fast track basis. While laying stress on the eco-tourism, the Director Tourism Kashmir said service providers should also take care of the fragile environment of the State while earning their livelihood to save the wealth of state’s natural resources for the posterity. On the occasion, the travel trade and hoteliers requested the Director Tourism to promote the State aggressively during winter months. They also suggested organizing road shows at various cities within and outside the country. They also sought free movement of tourists on Srinagar-Jammu national highway as per their tour plans and raised issues of harassment meted out to the travellers at tourist places. 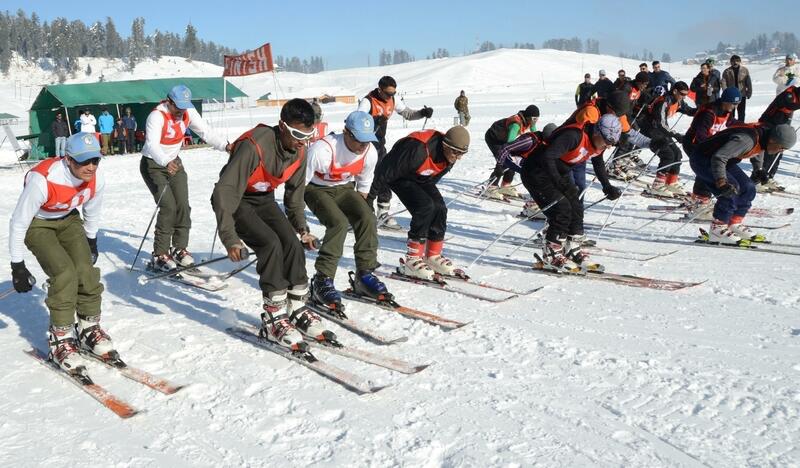 On the occasion, the Director Tourism Kashmir urged them to submit their suggestions in writing with the department for the timely implementation of all their valuable suggestions, which would help in promoting tourism sector of the whole state.